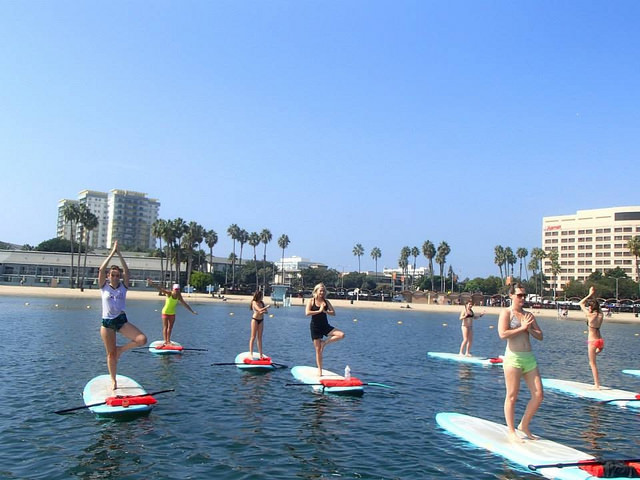 Students try to balance on paddle boards during yoga class in the Marina. Photo courtesy of Yogaaqua. Yoga is a challenging form of exercise and meditation. It demands a lot of focus and agility to balance in a variety of poses. Now, imagine doing all of that on a paddleboard in the ocean. Stand Up Paddleboard Yoga (SUP YOGA) is the newest trendy form of yoga that has been gaining popularity recently, attracting the daring yogis who want to take their skills to the next level in a fun, outdoorsy way. It seems to be a great way to get out of the studio and take yoga to a very new setting. Yoga companies have been excited to share this new form of yoga and have had retreats and events that feature it. Wanderlust, a major yoga retreat, had SUP classes to spread the word and help SUP grow in popularity. Social media has also been a great way to spread the word. 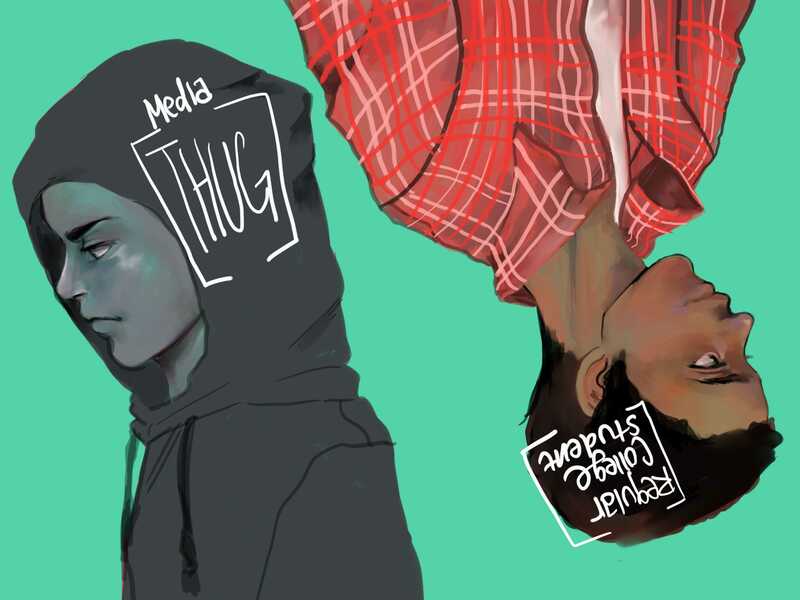 Photos have circulated of people in poses on their boards, which sparked a lot of notice. I am a junkie for new exercise trends. I want to try it all. So naturally, I was drawn to this when I saw pictures on Instagram of people balancing on their heads while floating on the water. I found Yogaqua online and signed up. The classes are in Marina Del Rey and have been popping up in that area as well as San Diego and Redondo Beach. There are about 10 students per class and the class is welcome to all skill levels. The first 30 minutes are dedicated to stand up paddling, to get used to balancing and work the core and arms. I had never been paddling before, only surfing, so standing parallel on the board, facing forward felt very strange, but really worked my triceps. The next hour, you drop a small anchor to stay in a group circle and the yoga begins. I got into yoga when I lived in San Francisco, like a little hippie, and grew to really appreciate slowing down and separating myself from the chaos of the day. Having grown up dancing, I thought I had pretty good balance until I found myself holding poses on a wobbly paddleboard. These are not easy poses, students do downward dog, standing warrior and headstands. I felt pretty confident as everyone around me slowly started to bring their legs up into a headstand, so I followed and held it pretty well at first, feeling proud as I was upside down, until I felt my body leaning backwards. I surrendered and fell straight into the water, which felt amazing! The instructors are very friendly and help newcomers, and assure students that it’s okay if you fall off, as long as you get back up and keep trying. This yoga is about trying new things that are hard and just going for it. The whole experience was so invigorating, being surrounded by good vibes and beautiful scenery. On Sunday, a yoga company called Stoked Yogi hosted an event to beat the Guinness Book of World Records by having the most people in a yoga class on paddleboards. This form of yoga is rapidly attracting attention from yogis to non-yogis who want a fun challenge. SUP Yoga is a great summer activity and is sure to be a trend that won’t fade away. I recommend it to anyone who is up for a fun challenge. Unlike regular yoga classes, you are not constricted to the four walls of a studio. The water and laughter of others surrounds you. It definitely brings a little exuberance and lightheartedness to a very spiritually rooted practice, while still upholding it’s traditions and essence. 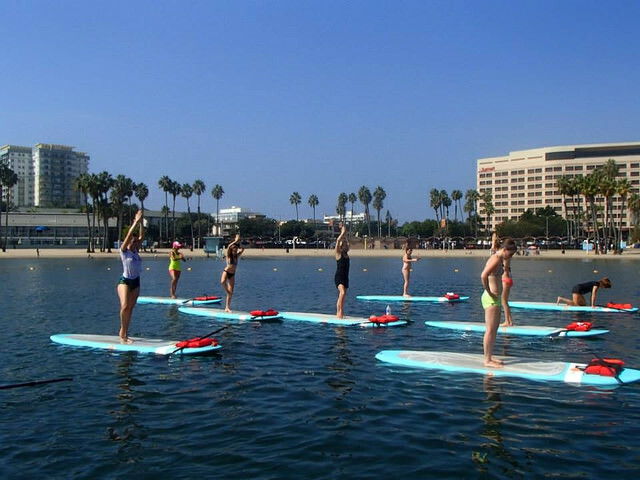 Every weekend, Yogaqua holds classes on paddle boards in Marina Del Rey. Photo courtesy of Yogaaqua.